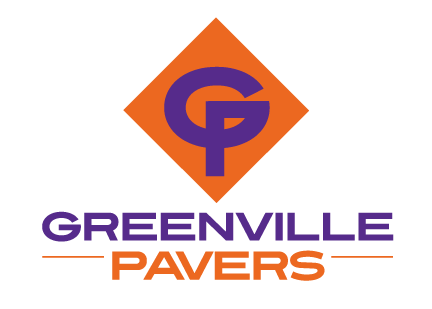 Come to Greenville Pavers for all of your Paving Services! 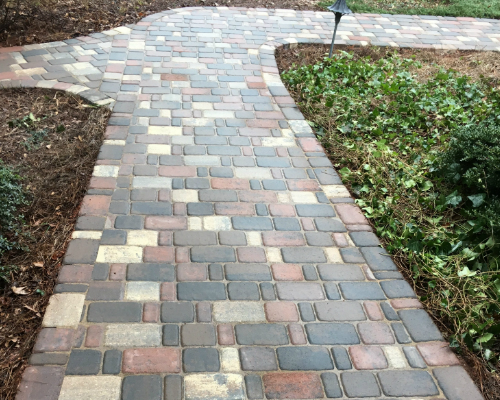 Finding someone to complete paving at your Greenville, SC home can be a challenge. How do you know who has the right equipment and will complete your job like you request? 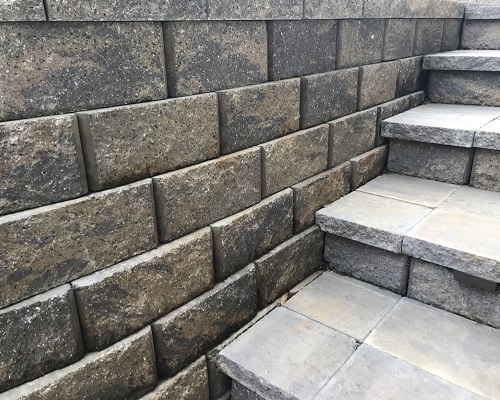 When you are looking for an excellent long-term option for your outdoor living space in Greenville, SC, you may find that brick pavers offer a number of solutions. 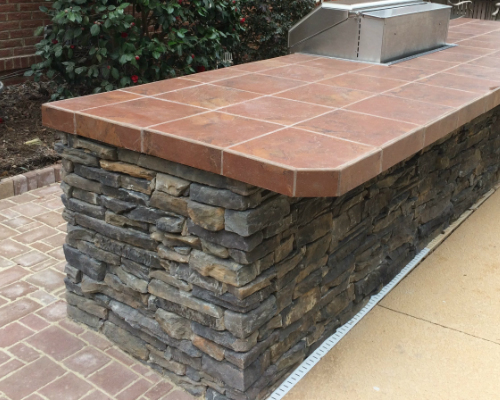 At Greenville Pavers, we can help you design and install a kitchen island that meets your needs and allows you the perfect opportunity for entertaining in Greenville, SC. One of the Top Google rated brick paver and hardscaping contractors around. We are here to meet all your Commercial Paving needs in Greenville, Spartanburg & Anderson, SC. We can’t wait to design with you! 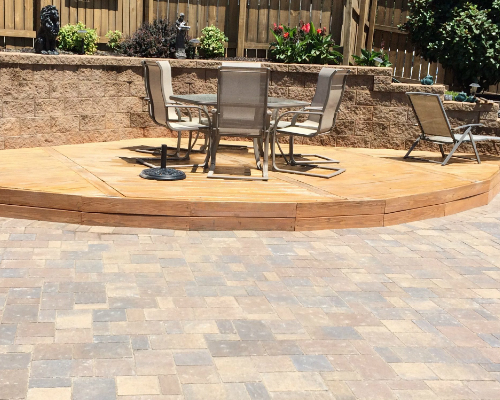 At Greenville Pavers, we specialize in transforming backyards into luxurious outdoor living spaces and can help you design the ideal outdoor patio for your Greenville, SC home. Your outdoor living dreams will become a reality when you work with us at Greenville Pavers. Have you been envisioning a backyard oasis where you can entertain guests and enjoy everything Greenville, SC has to offer from the comfort of your own home? At Greenville Pavers, we can turn your dream into a reality by offering all of the outdoor living options you need to create a custom space that is beautiful and functional. 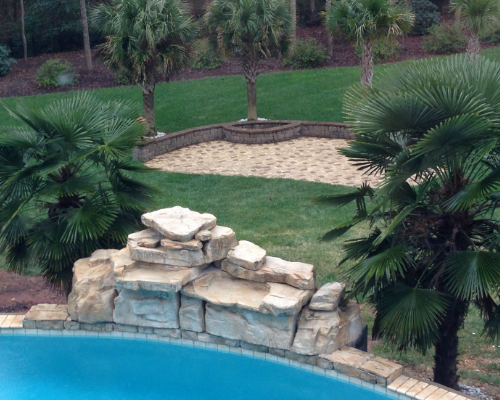 Our team of industry professionals is dedicated to ensuring your satisfaction, and with over 75 years of combined experience, we do what we say we will do to provide you the perfect backyard oasis. No matter what you have envisioned, we can make your design ideas come to life and will work with you through every stage of the process. Our specialty is designing luxurious outdoor living spaces, and you won’t be disappointed with the results when you work with us. Whether you would like to create a brick patio or need a firepit for your next outdoor get-together, we have everything you need to get started. Serving Greenville, Spartanburg & Anderson, SC, we have the knowledge, experience, and skill to give you the backyard you have always wanted. Let us help you determine what will make your backyard space the envy of all the neighbors and your go-to spot for entertaining and outdoor enjoyment. 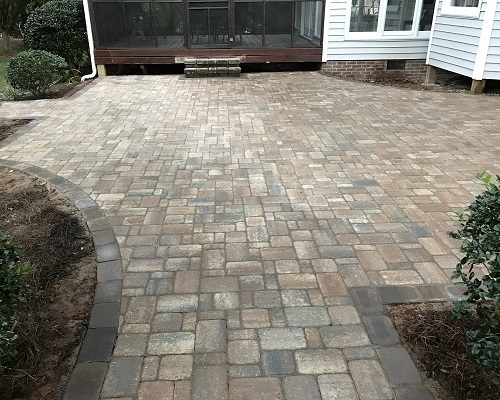 Contact us at Greenville Pavers today to get started. We can’t wait to design with you!